PCH stands for Personal Contract Hire and this is the contract you will have when you lease a car with Motorama. 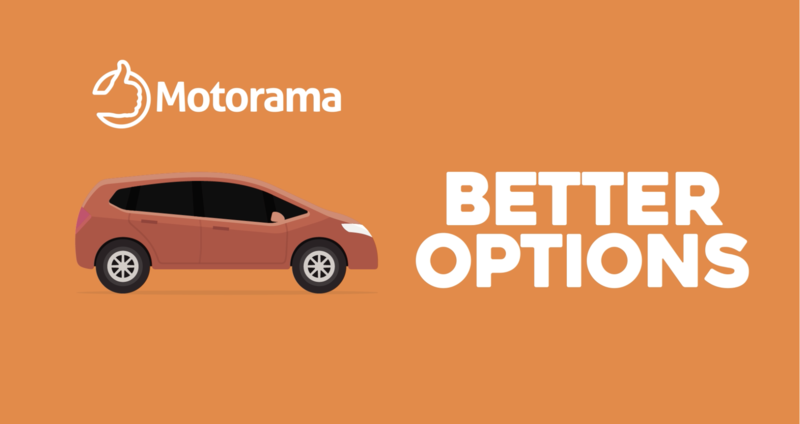 PCH Leasing car finance with Motorama is the convenient, affordable and simple way to drive a brand-new car. It offers hassle-free, fixed-cost motoring through a sensible monthly payment plan. Check out our FAQs for more information about what personal car leasing is and why it's better than Personal Contract Purchase (PCP). Don't miss our cheap new car deals! First, browse our cheapest car lease offers and discover what car tickles your fancy! Whether you want style, comfort or reliability, we’ve got a brand new car available to lease on PCH for everyone. Once you’ve chosen your perfect car, all you need to do is select a plan that suits your lifestyle and budget, choosing: your monthly costs, estimated annual mileage and your contract length. You’ll usually pay six months’ upfront – this is called your ‘initial rental’, and then you’ll pay fixed monthly rentals until the end of your contract term: just like you do with your mobile phone. Simple! Order online within minutes, and we’ll deliver the car free and fast to your front door so that you’ll be in the driving seat in no time! And, when your contract comes to an end, you’ll have the option to upgrade to another brand-new car. What’s really included when you lease a new car from us? We guarantee the best car lease price! Annual road tax is included in the quoted monthly payments for the duration of your lease. Depending on your lease term, MOTs are often not required because the cars are brand new and still under the manufacturer’s warranty. Even better…if you choose to pay a little extra each month all your maintenance costs will be covered, so you don’t have to worry about things going wrong. And, our industry-first mileage buffer protects customers from getting stung by excess mileage charges at the end of their lease – because you've got 1,000 extra miles on the clock, should you need them. The biggest benefit of leasing is that you usually get far more for your money, because you’re not purchasing the whole car, you’re only paying for what you use. At the end of the contract term, you hand the car back – having spent a fraction of the amount of money an outright purchase would have cost you – and choose your next brand-new car to drive. Let’s look at the figures. If you lease a £20,000 car for 3 years, and its predicted residual value at the end of those 3 years is £12,000, then you will only make lease payments on the £8,000 difference. If you had decided to buy the car outright, you'd be making payments on the entire £20,000 with interest or losing that whole lump in one go. Personal Contract Hire (PCH) car leasing creates huge opportunities for customers to lease brand-new cars by approaching a traditionally big-ticket item similarly to how we use and upgrade our mobile phones every two to three years. Vehicle technology is advancing rapidly – just like most other consumer technologies – and leasing is the most cost-effective and agile way for consumers to keep pace.